Leading Manufacturer of programmable temperature controller (single display), digital timers counters, digital panel meters and drive with digital display from Delhi. With thorough market research and years of experience in manufacturing, trading and supplying sectors, we are engaged in offering Programmable Temperature Controller (Single Display). 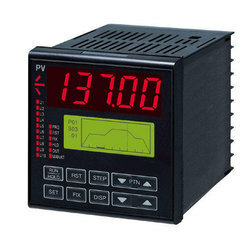 These temperature controllers are well tested on quality provisions, in order to provide flawless range. Our offered temperature controllers provide messages on display for sensor break and LED for relay status indication. 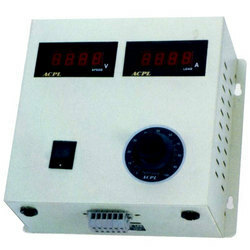 Also, customers can avail these temperature controllers from us in various specifications according to their choices. 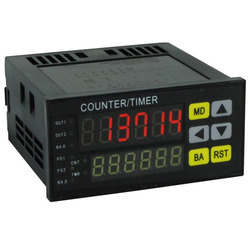 We are offering Digital Timers Counters which are an outstanding device for various industries. These counters are renowned for the robust designs, high durability, high resistivity to corrosion and for superior quality performance. Do not require any maintenance and are easy operating devices. Our clients can avail these from our organization at the most reasonable prices. With thorough knowledge and understanding of the market, we have been able to provide Digital Panel Meters. 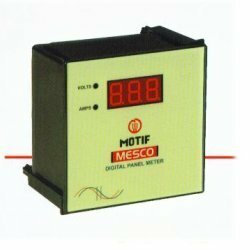 These panel meters are designed with finest quality material & leading techniques by our skilled workforce. These panel meters are provided with in-built alarms that can be configured to activate on low as well as high set points. The offered panel meters are quality tested by our quality controllers so as to supply a fault free range to customers. We offer high quality Drive with Digital Display which are fabricated using superior quality raw material to ensure longer service life, optimum performance, high resistivity to rust and robust design. These are checked for the quality standard before being supplied to our valued clients. Our clients can avail this product from our enterprise at economical prices.